Welcome to Champion Scaffold Services Inc. - Champion Scaffold Services Inc.
Our commitment to safety is our primary goal. We don't just meet OSHA Standards, we exceed them. You can trust Champion to provide quality scaffold and unrivaled workmanship on every project. Our team is trained, professional, and experienced to get the job done correctly and on time. 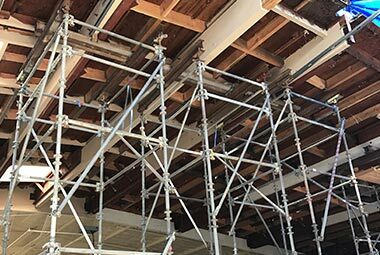 We have been equipping the Greater Bay Area with quality scaffold services since 2009. Our team of highly trained and experienced professionals can help you execute your project safely and on time. Whether your project is commercial, residential or industrial rest assured that you can trust Champion to deliver a quality product without delay that ensures all of your workers are safe. Contact us today.